Fineqia Investments Limited has been established in Malta to hold the Company's growing portfolio of blockchain, fintech and cryptocurrency technology companies worldwide such as Estonian insurtech platform, Black Insurance, Malta-based IXL PremFina Ltd, UK's Nivaura Ltd and UK’s Phunware. The investments are adjunct to the Company's core business of placing debt and equity securities. 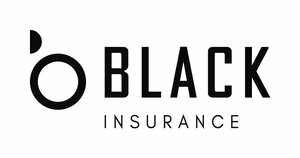 Black Insurance is a digital insurance company on blockchain. The platform connects insurance brokers directly with capital enabling them to launch their own virtual insurance companies. Thus removing the trusted third parties (Insurance Companies) from the value chain. The company has been in the insurance industry for over 18 years. PremFina Ltd is a UK-based premium finance company that promotes financial inclusion by enabling the payment of insurance premiums via instalments. It supplies insurance brokers with funding lines and also enables broker-funded and branded credit agreements via its Software-as-a-Service (SaaS) affiliate IXL PremFina Ltd.
Phunware Inc. is the pioneer of Multiscreen-as-a-Service (MaaS), a fully integrated enterprise cloud platform for mobile that provides companies the products, solutions, data and services necessary to engage, manage, and monetize their mobile application portfolios and audiences globally at scale. Phunware helps the world’s most respected brands create category-defining mobile experiences, with more than one billion active devices touching its platform each month.